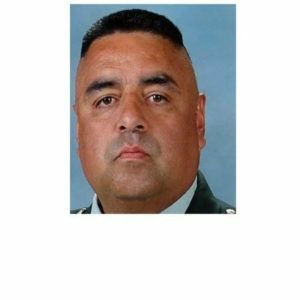 Terry R Vasquez is a retired Lieutenant Colonel from the U.S. Army after serving America for twenty-seven years in the Air and Missile Defense and the Army Acquisition Corps. Served in Operation Desert Storm and subsequent rotations to the Southwest Asia and also, served as Chief of Operations for the all the Alaskan Missile Defense Sites along with writing and analyzing air and missile defense national/international operational/technical requirements for the Patriot Air and Missile Defense system. After serving several other assignments from Platoon Leader to Battery Commander and Battalion Operations and Executive Officer and doing his last assignment at NORAD-NORTHCOM Command Center in Colorado Springs, Terry spent both time and energy developing his management, analysis and leadership skills at GE. Since his retirement from the military, Terry started Business Analytics Strategies consulting practice along with migrating to New York Life as a Registered Representative/Financial Advisor. Terry was recently a member of the Team at Centennial State Financial, an office of MetLife. Terry is now a Ground-Based Missile Defense (GMD) Analyst with emphasis on the Fire Control Center/Communications (GFC/C) subject matter expert in support of the Ballistic Missile Defense System. Terry as the GFC/C subject matter expert supports the Ballistic Missile Defense System, Operational Test Agency, conducting testing which includes missile defense flight-tests, integrated and distributed ground tests, supporting planning conferences, and other events as directed which is yet another endeavor added to his portfolio.